Norton Medical Industries offers consortium drug testing programs for Owner Operators, DOT Employers, and Non-DOT Employers. Employers that are regulated by the U.S. Department of Transportation are required to be enrolled in a random drug testing program. Our large consortium drug testing pools allow you to be compliant with federal requirements with ease in mind that you are enrolled in a great program! 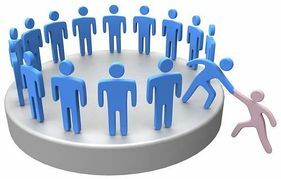 A consortium is a group of workers in small companies that are typically less than 3 individuals who are put into a random pool of other drivers in the same industry to meet random testing requirements. Norton Medical has a large consortium to meet federal motor carriers FMCSA and FAA consortium to meet requirements of FAA regulated companies. Workers are notified by phone call as well as email when they are notified for random testing. Everything that is needed for a federal or state audit is on the individual’s page. meets the requirements of the State of California for $99 annually. Drivers pay only $99 per year for their own program! Drivers give permission to their contracting company to see their test results as well as to the taxi commission. Norton Medical has developed the IDCapp. A cell phone application that allows individual owner operators to sign up and pay for the consortium on their cell phones. The app shows collection sites close to where the driver is physically located, notifies him that he is due for a test via email and voice call, certifies the drivers participation in the program. The IDCapp also provides testing for a post accident test. * NO drinking 4 hours “bottle to throttle” before and during work. ** City or state institutions, as well as their contracting entities, such as, rideshare companies like Uber and Lyft.